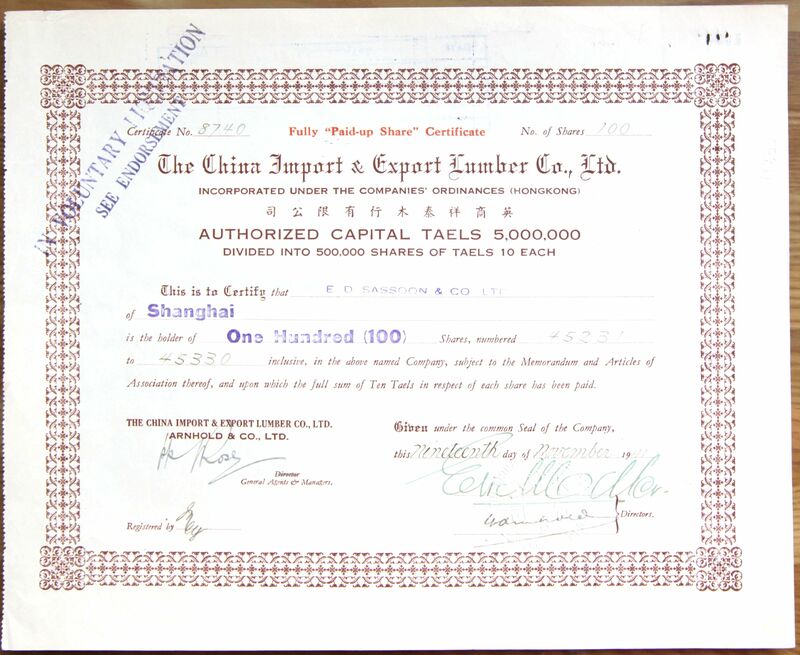 S4050, China Import & Export Lumber Co., Stock Certificate 100 Shares, 1941. The company was registered in Hong Kong, but the business and stock was issued in Shanghai. The face value is 100 Shares, and each share is 10 China Silver Dollars.